Matted albums - A premium handcrafted photo album. Now available in a 10×10″ size! 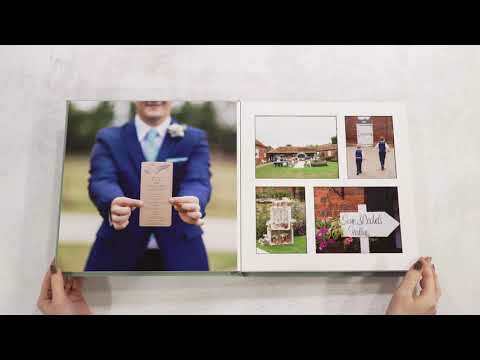 The Matted album combines traditional & modern album printing. It allows for variety throughout, with full flush mounted edge-to-edge pages and traditional bevel cut apertures made using the latest technology for absolute precision every time. You will have the choice of a black or white core running throughout the album and the full range of album covers available. Smaller duplicates can be produced from the same artwork, on either photographic or printed paper. Our Albums are presented in a protective fabric sleeve inside a gift box. / ALL SMALLER DUPLICATES PRODUCTS ARE AVAILABLE. A timeless format that is made for sharing. Deliver high on impact and give a solid feel. Share the memories with friend & family!